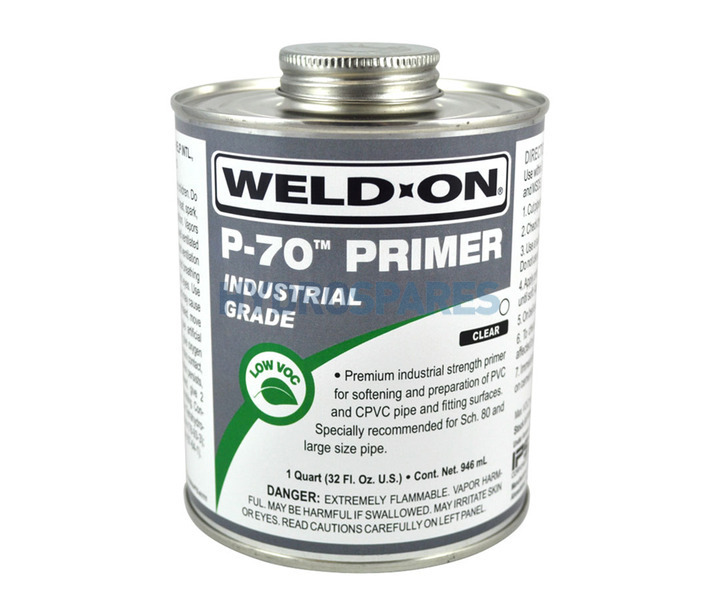 WELD-ON® P-70TM INDUSTRIAL GRADE PRIMER PURPLE/CLEAR: Premium, industrial strength, low VOC primer essential for proper softening and preparation of PVC and CPVC pipe and fitting surfaces. 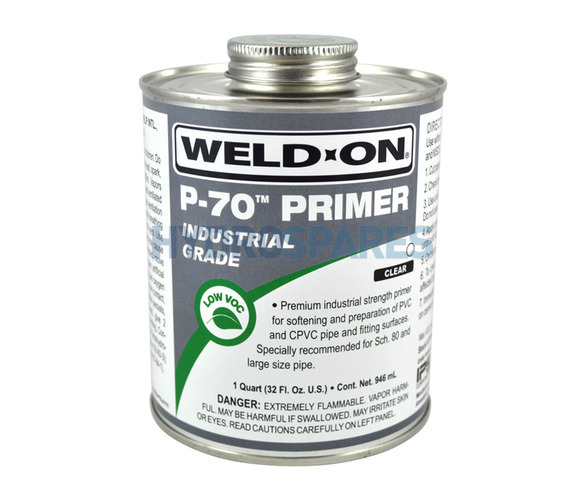 Specially recommended for use on Schedule 40/80 (PN 10 and higher) and large size pipe. Excellent for cold weather applications.